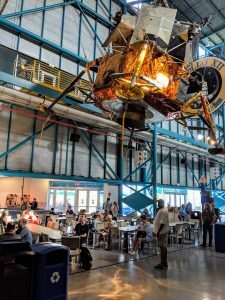 Last day in Florida today and we returned to the Kennedy Space Centre, this time focussing on the Centre itself rather than the Cape Canaveral Airforce base. Cal having tea beneath a lunar lander. We got to see the launchpads for the Shuttle, one of which is being used today by SpaceX. Callum, who was wearing his SpaceX t-shirt, was in seventh heaven, which made it all worthwhile. We also saw the enormous Vehicle Assembly Building close up, and the massive crawlers that are used to transport rockets from the VAB to the launchpads. 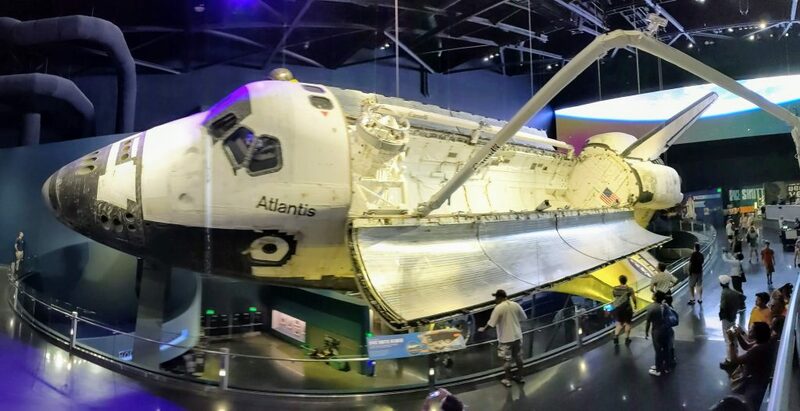 Finally we visited the shuttle Atlantis, which is very nicely displayed in a custom-built building which allows you to get right beside it. And that was the end of our space visits in Florida. We didn’t see a space launch, but that was always a matter of luck. Other than that it has been fabulous. We drove back through a torrential downpour, which meant we couldn’t see a thing outside the car, imagining what Florida must be like in a hurricane and appreciating not actually experiencing that. 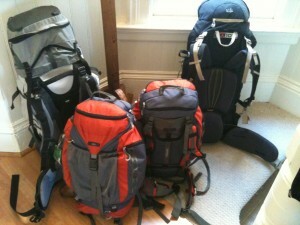 Tonight we’re in the Orlando airport hotel ready for our flight to Washington DC tomorrow. VAB – Each star on the flag is six foot across. Launch Pad 39A – was shuttle, now SpaceX.